Irene is the wife of Richard Pemberton, a U.S. embassy attaché in 19th century Japan. One fateful evening, she finds her husband laying dead in his office, bearing a suicide note filled with confessions of corruption and remorse. After carefully examining the letter, she starts to suspect forgery and foul play, and decides to embark on a quest to clear Richard's name and honor. 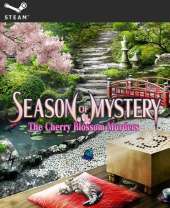 It's a hidden object game with adventure elements developed by the Japanese company known for its classic lines of console RPGs. Most of the time, the objective is to find and click on all the items listed at the bottom of the screen, in locations filled with objects scattered throughout the scenery. The list entries can be clicked to show the object silhouette inside a Japanese paper lamp at the bottom-left. The hint button shows the position of one of the required items, but takes some minutes to recharge after use. Some of the collected items are stored in the inventory, to be used later on specific portions of the scenery. The interactive parts of the screen have a blue glow around them, and the player must drag and drop one of the inventory items onto the sparkling area to perform a necessary action. Mini-games appear at the end of each section, where torn letters have to be reassembled, the correct house out of eleven homes has to be selected by following the clues of a rickshaw runner, the locks of a box have to be opened in the correct order, pairs of identical shells have to be removed in a memory game, the differences between two similar paintings have to be found and other challenges have to be completed. The games can be skipped with the solve button.